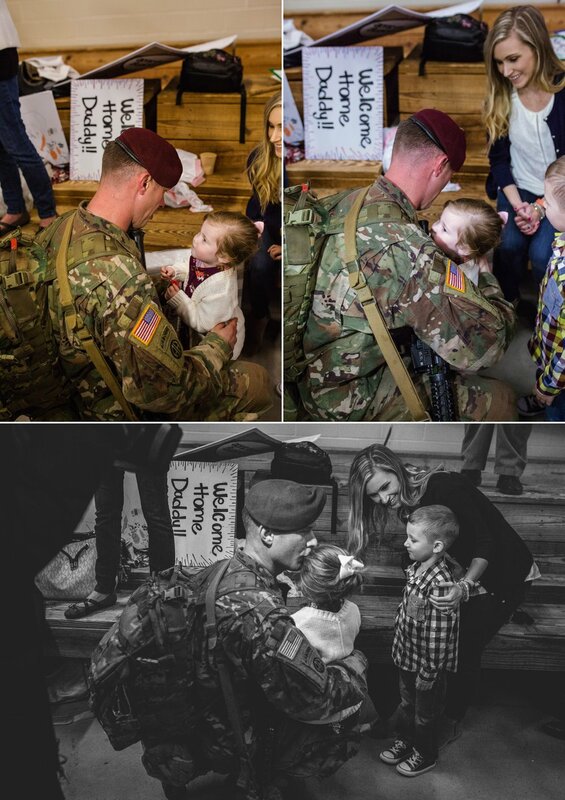 The Meyer family welcomed home their Daddy and Husband after a long deployment to Afghanistan this past week! As a Homecoming Photographer in Fort Bragg and Fayetteville North Carolina, it was such a pleasure to be a part of their day. 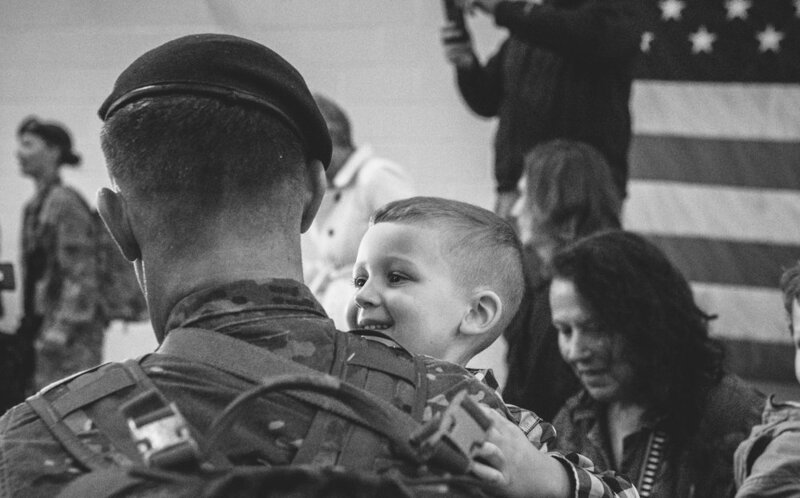 Their little man was so excited to see his Daddy that he could barely keep himself together. After a long wait for their family to be complete again, they could finally hug in their hero! And yes of course, there were some tears shed on my end as well - how could I not? Homecomings always tug on my heart strings. Living in a Military Community, you learn to value the time together so much because you know that it's not long until the Soldier has to leave again. But this is exactly what makes moments like this so special because in that second, all that matters is that they could wrap their arms around their Daddy and Husband again, that the family is complete again and that they can make it through any distance! Is your spouse coming home soon? I'd love to capture it. Contact me!